The winter is all about getting festive. At Eternal Fleur®, we have the perfect gifts and decor for every occasion this holiday season. Our Four Season Rose™ arrangements come in different color and size variations. We have the perfect combination for every holiday this winter. 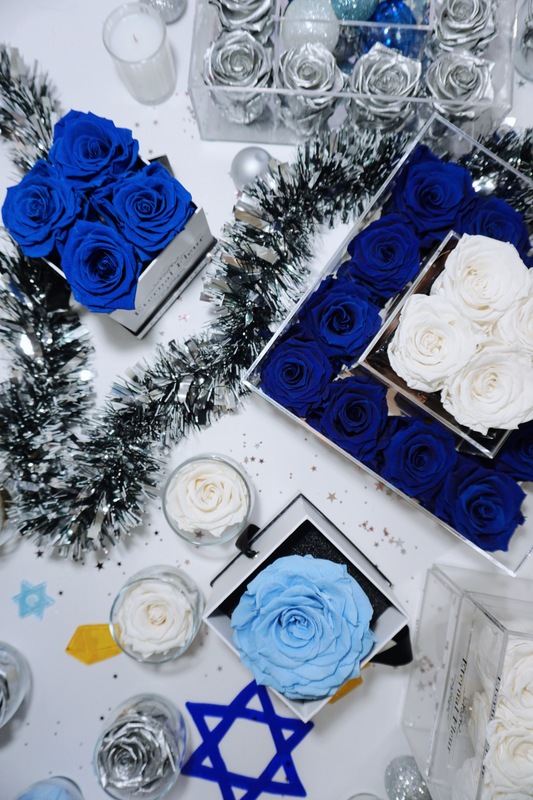 For Hanukkah, we love our navy roses as well as silver, white, and mint. These blue and white tones are the perfect compliment to your winter decor, or an amazing gift for one of the eight nights. Or, get a Votive Bloom as a favor for all your guests. For Christmas, we love decorating with red and white rose arrangements. Our Grand Square in red is the perfect item to make you feel festive. Our preserved roses are perfect for decorating during the Christmas season, but also make perfect gifts to put under the tree. 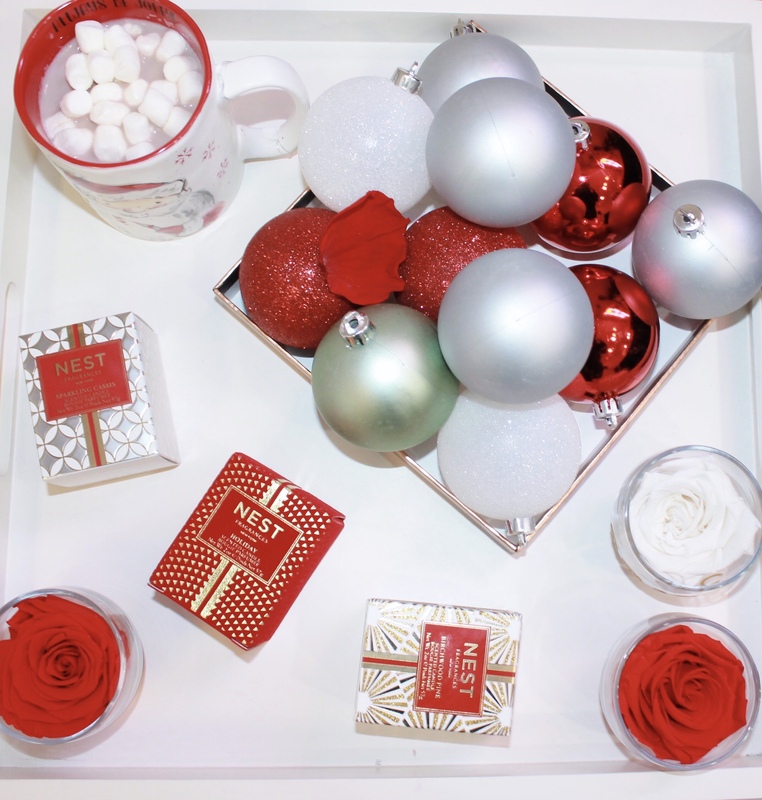 We also have new festive scented candles from NEST Fragrances®! Once Hanukkah and Christmas are over, there is still one more holiday left: New Years. For New Years, it is all about the sparkle! Our metallic roses are the perfect way to start the New Year. We think gold and silver are especially festive. 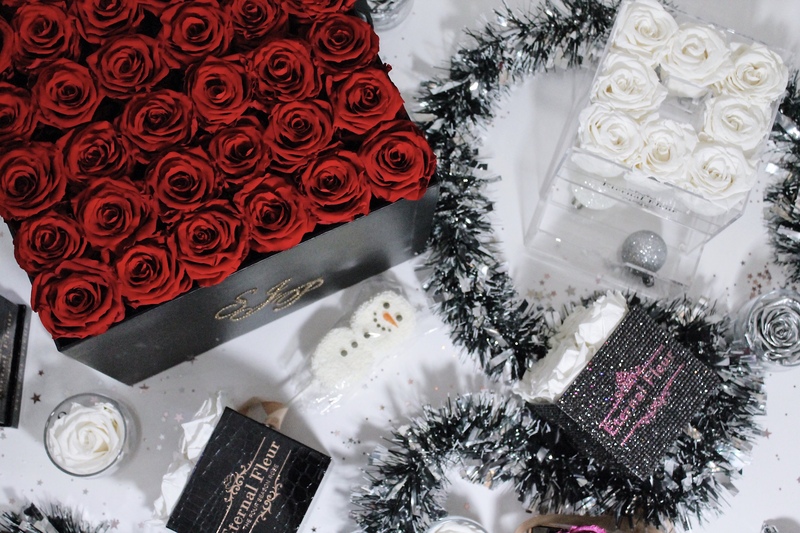 Shop Eternal Fleur® to get prepped for every holiday this season! We have a variety of products in the color schemes you need.